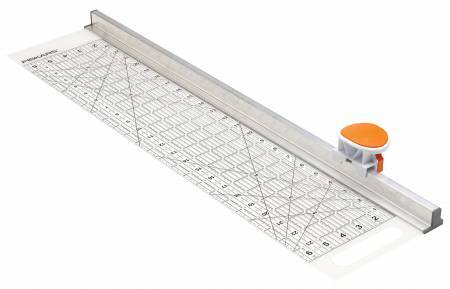 This ruler with rotary cutting combo features a 45mm cutter, two tone grid print - with white outlines on the dark marks for ease of use on dark and light fabrics. Grids work for left/right handed use. Easy blade change and enhanced blade carriage profile. One 45mm blade included.